These 19" bonnets are typically used with one of our 20 inch rotary floor scrubbers, like our CleanFreak® 20" rotary carpet scrubbing buffer, when it is purchased with a 20" pad driver. All of our carpet bonnets attach directly to the bottom of a pad driver for scrubbing those highly soiled carpeted areas. They are washable, durable, and long lasting! Please fee free to take a look at our carpet bonneting procedures for hints and tips on how to properly scrub a carpet with a bonnet. 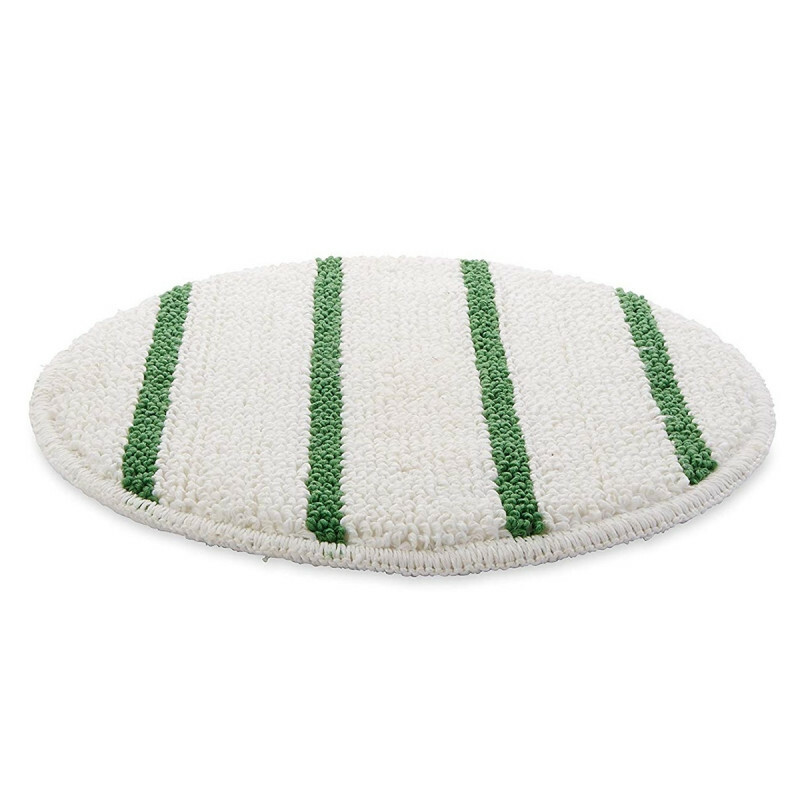 Customers who were interested in the 19" White Carpet Scrubbing Bonnet w/ Green Agitation Stripes for 20" Buffers were also interested in the following items. This is a review for the 19" White Carpet Scrubbing Bonnet w/ Green Agitation Stripes for 20" Buffers.